Fourteen years ago, I was offered a new job, Missioner for Ministry Development. What's that? Sometimes I said, I consult with organizations undergoing paradigm shift. Other times I said, I do what Paul did. Depended on the audience. The details don't matter. What does matter is that I got up every single morning rejoicing at what I felt privileged to do that day. I considered it the job I was born to do. Well, yes and no. It combined my burning passion for advocacy, my deep appreciation of small congregations, and my abiding love for the highways and byways of Iowa, Beautiful Land, as the native inhabitants called it. On the other hand, it gave me intense fourteen hour work days, conflict with long time friends, people across the state who piled their hopes, dreams and desperations on my back and the resistance of those who value certain aspects of an institution that others can no longer afford. When we mixed all that with second generation antidepressants -- Keep trying, the doctors and my therapist said -- my bipolar II went into hyperdrive. I was both madly productive and plain old mad. It was beautiful. It was ugly. It didn't last. 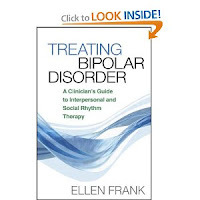 Ellen Frank says that people with bipolar need to deal with grief for the lost healthy self. It's one of the interpersonal issues that sabotage our adherence to the regimen required to maintain recovery. I do still grieve the job that I was born to do. 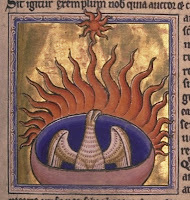 I grieve the last bit of documentation of a curriculum that was a reflection of my genius, that only somebody with the energy of bipolar II could have produced, and that I was not able to finish before my brain crashed, to ensure that it could be implemented when I wasn't there to support it. It hurts every time I come back to Iowa and somebody wants to talk with me about it. 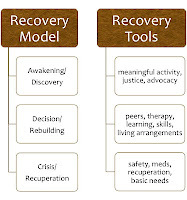 This post for World Mental Health Day continues my ongoing series on Recovery, which began on September 7, 2012 in Recovery - The Medical Model. 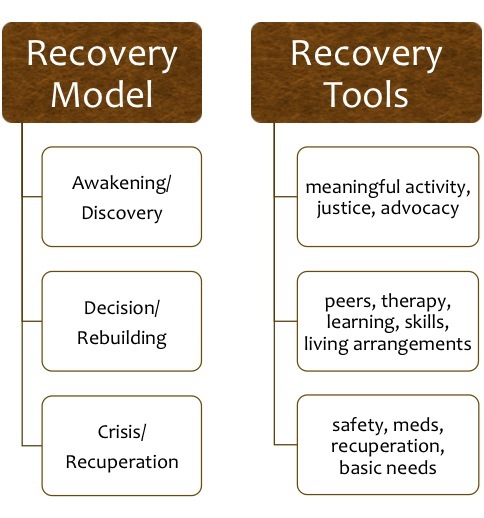 Last week, I outlined the Recovery Model Map, with the corresponding tools appropriate for use at each stage along the way. Having written in the past about the neuroscience of the earlier stages of recovery, today I focus on Stage Three: Awakening/ Discovery. It is the stage of following your dream, doing what you were born to do. When we have come through the initial (and subsequent) crisis, when we have rebuilt our lives, then we are changed. We don't get our life back. I don't get to consult with organizations undergoing paradigm shift anymore, traveling the highways and byways of Iowa, like Paul traveled the ancient Mediterranean. I become new. There are some things that persist, including my vocation to advocate for others, to help others develop their own potential, to communicate, to teach. Fred Buechner says Vocation is where our deep gladness meets the world's deep need. I have learned the need for a third element in Buechner's equation, the context. 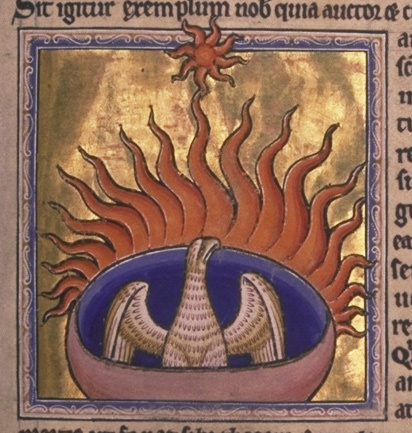 In this case, the strength of my body and soul to rise to that intersection. My illness robbed me of that strength. My recovery has been about rebuilding it. As I rebuild, I reach forward to that vocation in a new context, no longer in fourteen hour days and highways and byways, but in measured work, guarding my circadian rhythms. But nevertheless reaching toward the intersection of my deep gladness and the world's deep need. I have found that intersection in this blog, and in work with NAMI, the National Alliance on Mental Illness. So I have spent the last six months working on an hour-long power point presentation on the neuroscience of Recovery. Fourteen years ago, it might have taken a month to complete. But a measure of my recovery from cognitive deficits induced by the Chemistry Experiment is that the result is as excellent and professional a presentation now as it would have been back then. And I am very satisfied. 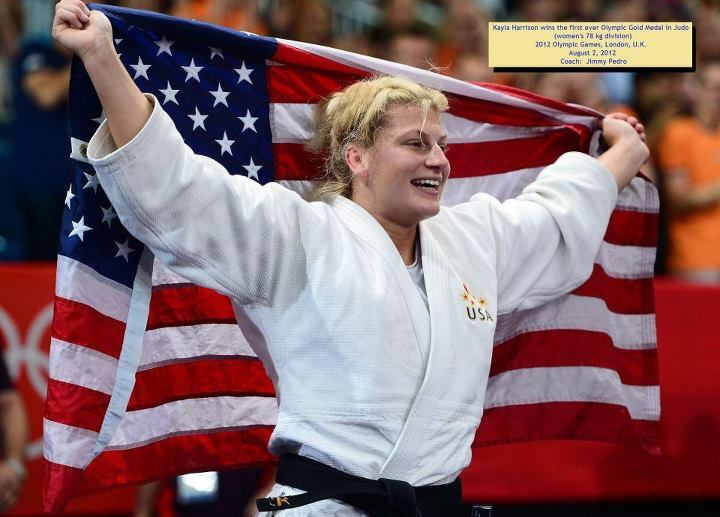 Kayla Harrison is my new recovery hero. Sexually abused by her judo coach for three years, from the time she was twelve -- when her mom found out, she was a tiger. That guy is in prison. But Kayla continued her dream, another gym, a new coach. This summer Kayla Harrison became the first person from the United States to win Olympic gold in judo. Kayla went through the earlier stages of recovery, too. Then she kept going. She got up every single morning and told herself she was going to win gold at the Olympics. The garbage her abuser fed her is still there, but his voice grows weaker. Thought, emotion, memory, will, physical exertion, training, training her body, training her mind: Kayla's neurons connected each of these parts of her brain activity over and over, and built her recovery. 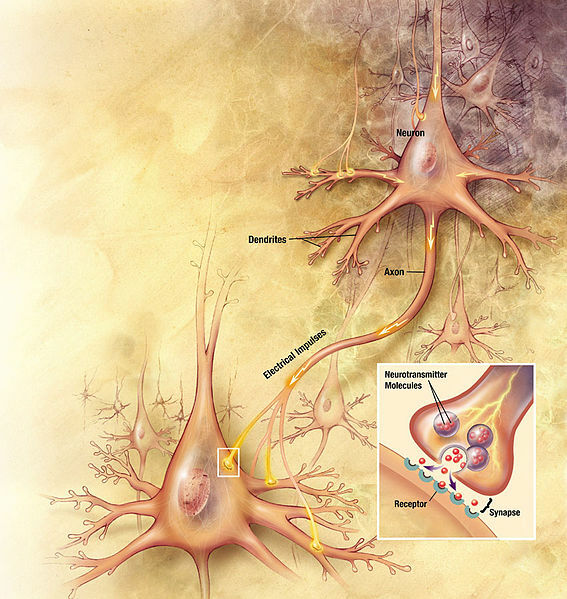 There is a saying in neuroscience, What fires together, wires together. We have a hundred billion brain cells, a gazillion potential connections. When we engage in worthwhile activity, when we follow our dreams, we loosen the hold of negative thoughts, emotions, voices. We strengthen the work from the stages below. We hard wire the positive. So that is what I am doing, too, rewiring. 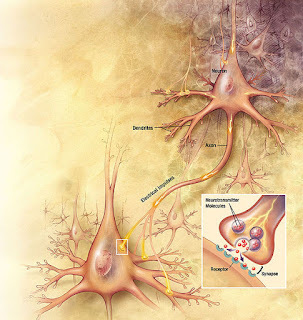 The brain science word for that is neuroplasticity, changing the brain, in this case by changing the way the neurons connect. I can make progress by using all those Stage Two Recovery tools. And I still need them. I need my peer support and therapy and everything I learn while writing this blog. And I need those Stage One tools, too. I get into major doodoo when I don't pay attention to sleep patterns, when I don't eat my leafy greens, or skip my meds. But if I don't reach beyond these, if I don't dream, and I fail to risk the next step, then I become bored, discouraged, stuck on my illness -- my neurons fire and wire the message that I am fragile, incompetent, that my life has already been lost. I choose to take a risk. I choose to dream again, to pursue my vocation, where my deep passion meets the world's deep need. I thank you, my readers, for being part of my recovery. I hope that I can be part of yours. We're all in this together. Thank you so much for this poignant and rich post. I was a classic overachiever for years, from a very young age, and I'm just now coming to terms with the humbling limitations bipolar disorder has placed upon me. The grieving of the healthy self is such a critical process, and I'm so glad you illuminated it here.